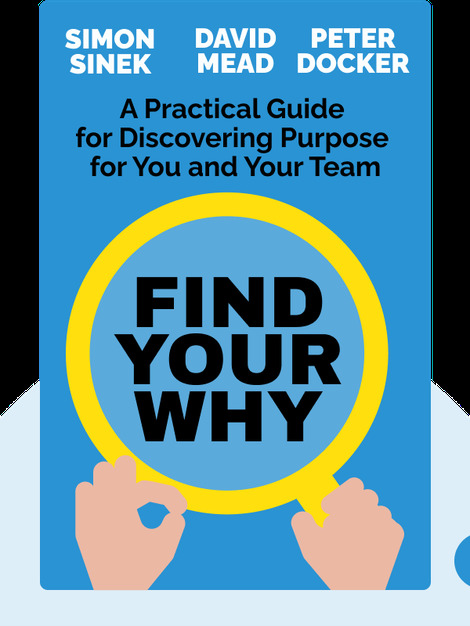 Find Your WHY (2017) offers something that every person and business is looking for: a true purpose. The authors provide strategies and exercises that individuals and teams alike can use to discover their most powerful motivations, and their reasons for getting up in the morning and starting the workday. This is a useful guide if you’re searching for the right job, trying to hire the right employees or hoping to gain a better understanding of yourself and the people you live and work with. Simon Sinek is a motivational speaker whose innovative thinking has led him to consult with some of the world’s biggest corporations, including Microsoft and Intel. He is also the best-selling author of the 2009 book Start With WHY: How Great Leaders Inspire Everyone to Take Action. David Mead is a corporate trainer who has been working with Simon Sinek since 2009. He now runs popular workshops specializing in organizational leadership and motivation. He has helped people on five continents and worked with teams ranging from professional sports squads to governments. 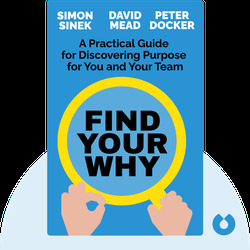 Peter Docker is a former senior officer in the Royal Air Force, who now works as an in-demand business consultant and a key member of the Start With WHY team. He has played a central role in transforming Simon Sinek’s theories into a practical training manual.